Happy November! We hope you are enjoying the beautiful fall weather here in Orlando. This month, we’ll talk about the home inspection as part of the home purchase/selling process. Q: Can you explain the home inspection process? We are selling a house and buying another. So we are dealing with home inspection twice, from 2 opposite perspectives. Certainly. Let’s look at it from the home buyer’s perspective first, then we’ll consider the seller’s perspective. When you are buying a house, you want to make sure there are no issues that will negatively affect your planned use and future enjoyment of the house. The FR/BAR (Florida Realtor/Florida BAR Association) contract used widely as a standard in the state of Florida has specific provisions to allow for this. Since the As-Is version is used in the vast majority of transactions in Central Florida, we will focus on that. In a nutshell, the As-Is provision has an inspection contingency which allows the home buyer to conduct any inspection the buyer sees fit. Furthermore, the buyer may cancel the contract for any reason, at his/her sole discretion. The contract provides a time frame for this right. The standard time frame is 15 days. In practice, a 7-day inspection period is more common. We monitor this time period very carefully, because with the expiration of this time frame, so closes the window for cancellation without penalty. If the home buyer does not cancel the contract before the deadline, then the inspection contingency is deemed waived. The buyer now must proceed with the contract. The home buyer usually hires a licensed professional home inspector to examine the house from top to bottom. This literally means from the roof to the foundation, and everything in between. There are many good inspection companies. A quick search online will yield many choices. A word of caution: these inspections are “visual” in nature. They do not open walls and such. After decades in the business, we understand the inspections are not perfect. A home inspected by 2 different inspectors may yield different results. The important thing is to have the right expectations and focus on objective findings and major items. Select your inspector carefully and be present at the inspection. Ask questions until you are fully satisfied. If the general inspection reveals doubts about a specific component, it may be worthwhile to hire a person specializing in that component. For example, the general home inspector may find the air conditioner to be functioning marginally, and recommends further evaluation by a HVAC technician. Keep in mind there are other types of inspections. For example, there is termite inspection, AKA WDO (Wood Destroying Organism) inspection, mold inspection, septic inspection…etc. Depending on the particulars of the property you are buying, you may want additional assurance. Finally, you should get a home inspection even if you are buying a brand new home. Our buyer’s agents all have stories about defects found with new constructions from builders. It’s always better to find out early where the leverage is stronger before closing. As real estate professionals, we can be your guide and support through this process. We do not replace professional home inspectors, but we work in conjunction with them to help you make informed decisions. We help you to look at things in proper perspective, find solutions, and ultimately protect your interests. 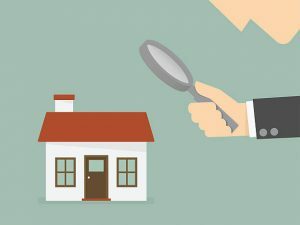 Now, on the other side, how do you look at the home inspection as a seller? We believe a happy buyer is an informed buyer. You would want the buyer to exercise due diligence and find out as much as they can. It’s a poor and short-sighted practice to try to conceal problems. It’s much better to work out problems early and openly, than to receive a letter from the buyer’s attorney after closing! Please review our September article on seller disclosure to review the seller’s legal obligations. After the buyer conducts the home inspection, it’s not uncommon for the buyer to attempt to renegotiate. This is another place where a seasoned listing agent can provide valuable guidance. You should look at the nature of the issue. Is this a deal-breaker that’s truly a surprise to both parties? Is this an issue you will have to address if you put the home back on the market? We can help you find the proper solution to the problem, and if necessary, negotiate effectively to salvage the transaction. Our goal is not just for you to sell your home high, but also sell it right, so you can move on after closing to enjoy the next chapter in your lives! We will stop here. Please send in your own real estate related questions. Let us know how we can help. Also let us know who we can help. We love referrals!